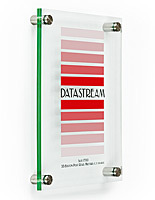 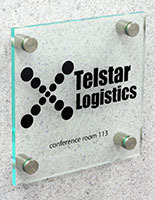 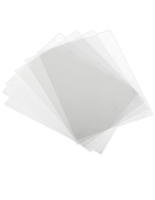 These business door plaques comes with (3) frosted and (3) clear lenses for making your own signage. 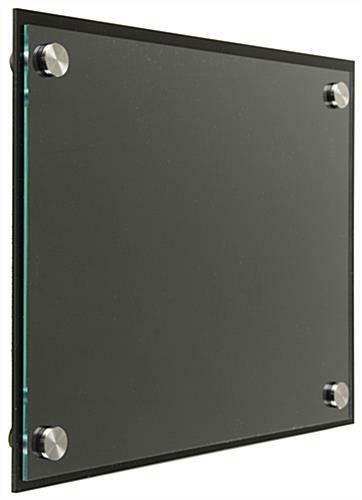 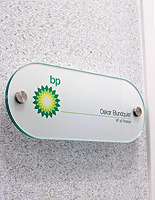 Designate departments or staff using these acrylic black or clear name plates for a corporate building to make it easy for clients to visit. 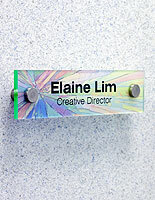 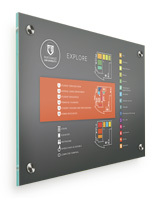 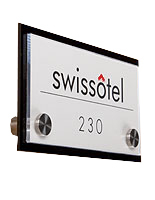 Each of these door plaques can be used to label rooms in an office or building. 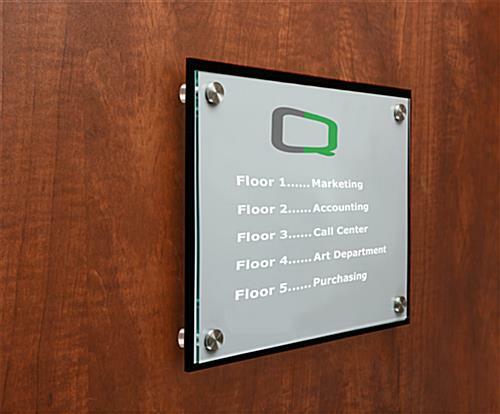 Eliminate external printing costs with this do-it-yourself custom signage. 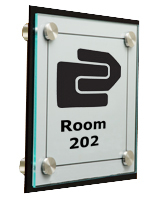 These plaques, also known as wall hanging fixtures, come with (3) downloadable templates available in Word, Illustrator, and Photoshop so staff can design their own labels on black or color laser printer film. 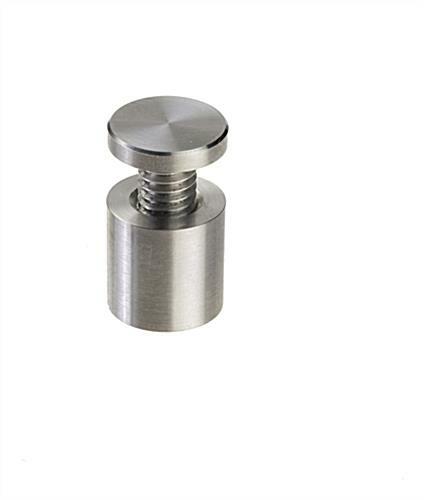 These fixtures are mounted to a wall by stainless steel edge grips.